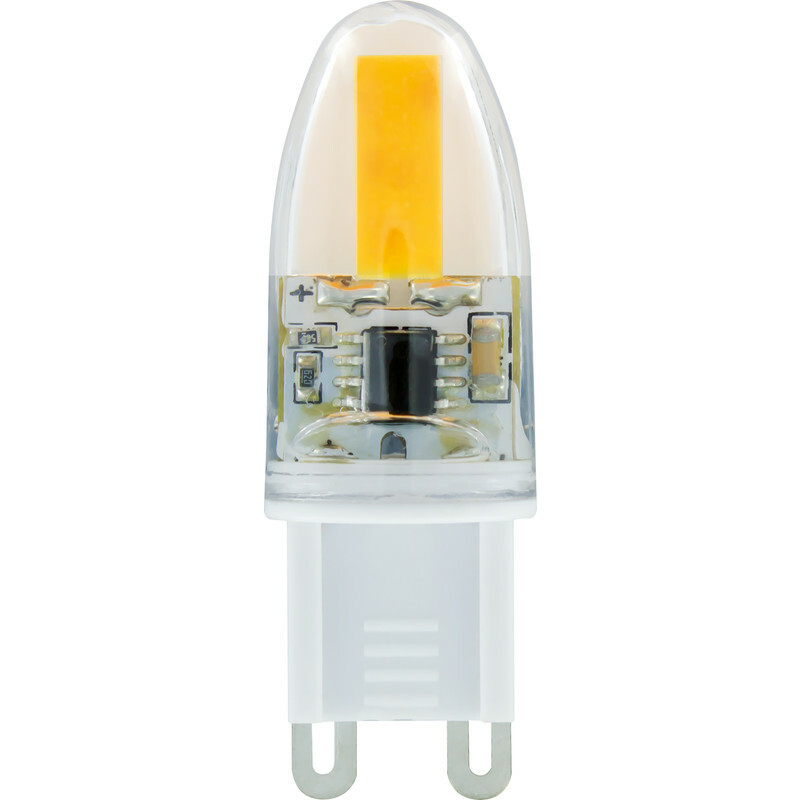 Integral LED G9 Capsule Lamp 2W Warm White 160lm is rated 4.1 out of 5 by 16. Rated 3 out of 5 by S G W from Nice bulb Nice light output and not so expensive but down side as mentioned by others is they don't fit great and seem loose. Took a while to get it fitted nice where it didn't wobble. Seems to work OK now and time will tell for reliability. Rated 5 out of 5 by Jend from Excellent Bulbs have fitted well into two different light fittings. Bright enough but not glaring, just right. Very pleased as had had problems with other led G9 bulbs. Rated 5 out of 5 by T Naing from Save energy I bought one month ago , light ok for my room , save energy. Rated 4 out of 5 by Annonymous from Impressive Lamps! When they arrived it actually states on the box that they are equivalent to 20W conventional bulbs not 15W as the product description states and consequently they were too bright. Rated 5 out of 5 by landfill jack from Good Good price, good kit, available straight away. Rated 5 out of 5 by Dave29 from Quality and good price Bought these for Bathroom fitting. No problem with the LEDs as such but would buy cool white next time for use under opaque glass covers.